I am confused about the assets folder. It doesn't come auto-created in Android Studio, and almost all the forums in which this is discussed talk about Eclipse. 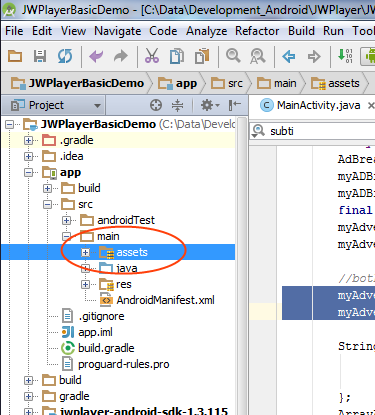 How can the Assets directory be configured in Android Studio? 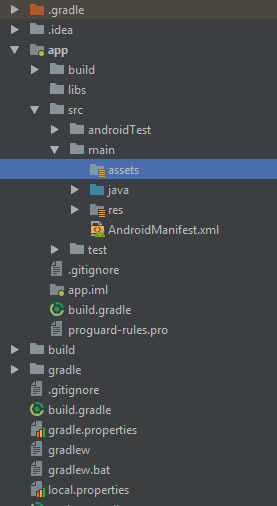 Since Android Studio uses the new Gradle-based build system, you should be putting assets/ inside of the source sets (e.g., src/main/assets/). Also, a quick reminder: assets are read-only at runtime. Use internal storage, external storage, or the Storage Access Framework for read/write content. 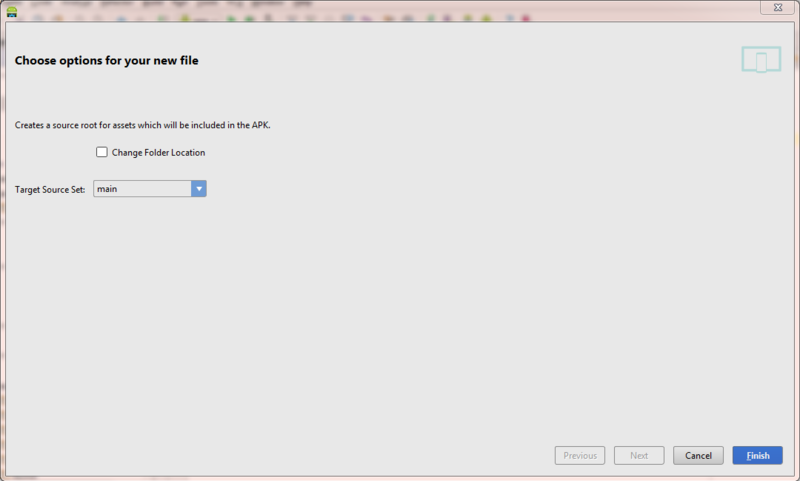 Let Android Studio do it for you. 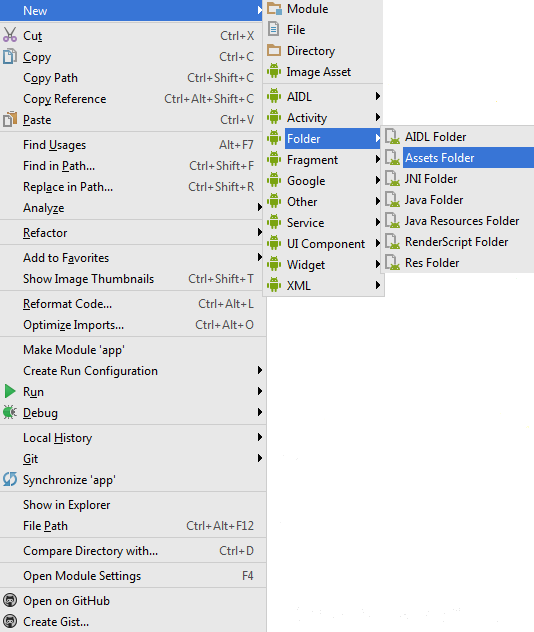 In Android Studio (1.0 & above), right-click on the folder and navigate to the Assets Folder. On the next screen just click Finish. And voila! It will create the assets folder in the main target source set. 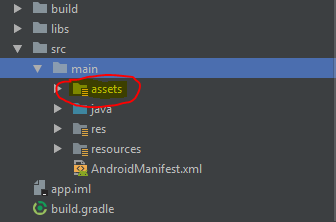 This means the "assets" folder is already declared for Gradle. You will need to create it under src/main/ (I'm using Android Studio 0.4.2). Note : App must be selected before creating folder. Hi it very simple, first of all, assets folder will not create automatic with the project. we need to create it. Note: for craeting assets folder just click on project right click select NEW then folder then Assets, it will create assets folder. 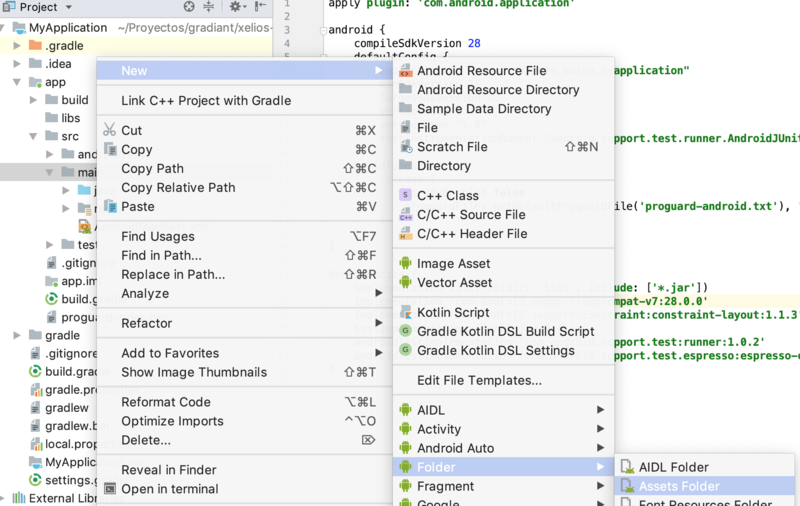 When upgrading to the release version of Android Studio, you may be automatically switched to the new Android project View (see here for more info). If you swap back to either the Project or Packages view, you should see the standard folder hierarchy of a Gradle-based project. Then refer to CommonsWare's answer for the appropriate location. Put the assets folder in the main/src/assets path. Click over main → new -> directory → and type as name "assets"
It might not show on your side bar if the app is selected. Click the drop-down at the top that says android and select packages. you will see it then. Step 1 : Go to Files. Step 2 : Go to Folders. Step 3 : Create Assets Folder. In Assets folder just put fonts and use it if needed. 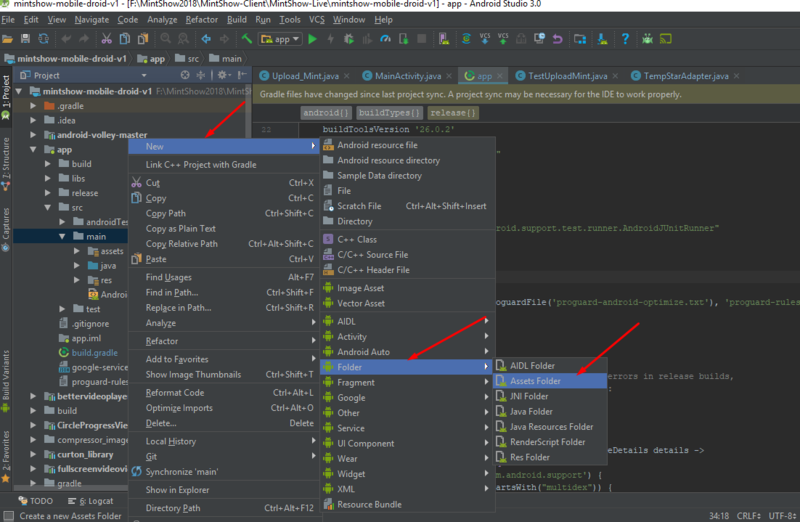 In Android Studio, click on the app folder, then the src folder, and then the main folder. Inside the main folder you can add the assets folder. Either create a directory under /app/src/main or use studio File-> New -> Folder - > Assets Folder. Not the answer you're looking for? 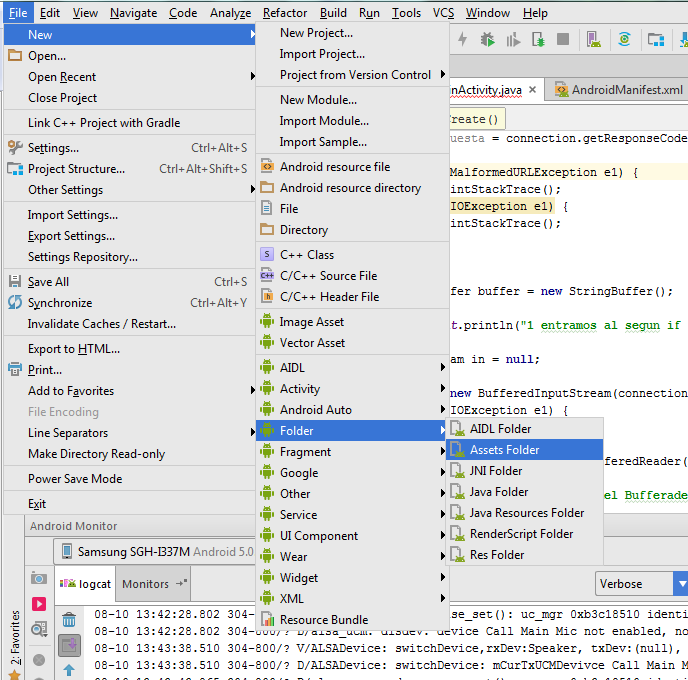 Browse other questions tagged android-studio android-assets or ask your own question. Is there anything similar to iOS resource bundle in android?